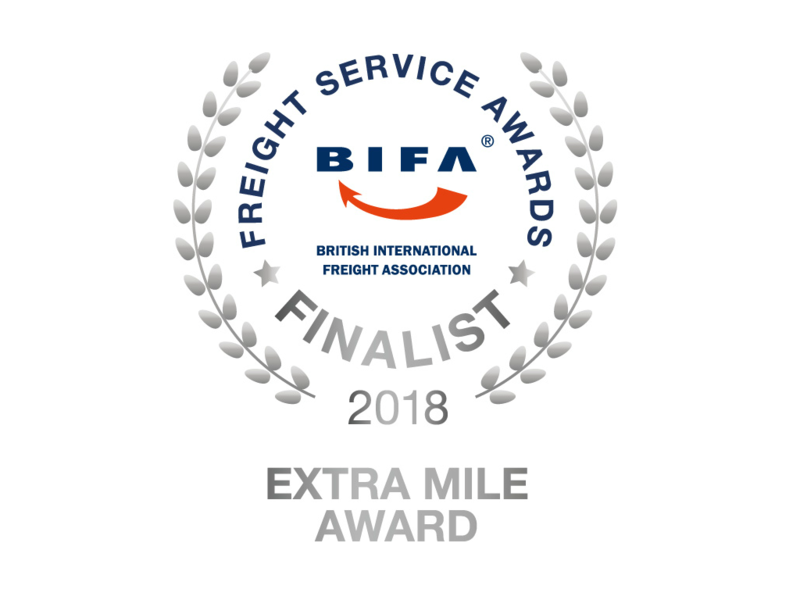 On 17th January the UKCS management team attended the annual BIFA Freight Service Awards, with the company nominated as finalists in the Extra Mile Award category. It might not sound as glamorous as the ‘Oscars’ but was nonetheless a prestigious event to honour important work done within the industry. The event was hosted by accomplished athlete and double Olympic champion, Colonel Dame Kelly Holmes DBE. UKCS were nominated based upon exceptional work for a major client with particular business needs. This client had found it’s previous service provider (an international name in the logistics industry) unable to help with an in-house transition of certain customs compliance functions. This is where UKCS stepped in, with support that was initially expected to last a few months, but has stretched to over two years of bespoke service. This service put a number of staff outside of their comfort zones, requiring regular commutes to the clients site to assist and train their own customs team. This commitment involved constantly moving goalposts as the clients circumstances evolved. Our flexible approach meant we were able to be responsive to our clients needs and commit the necessary resources. At the ceremony itself UKCS were not the eventual winner of the award. However we are grateful to have been recognised for the work put in over the last few years. “it is an acknowledgement that we are always willing to do that little bit extra for the customer, to assist where others may sit back and say “That’s not my responsibility” or “This isn’t what we are getting paid to do”. UKCS customs & compliance manager Gary Harrold (right) preparing to receive the finalist certificate from Robert Keen, director general of BIFA.